... wait, isn't that exactly mapper 225? As mentioned in this thread. There is a RAM chip missing from the board. Nestopia does not add this to its emulation. This makes it more accurate to the actual (known) cart. 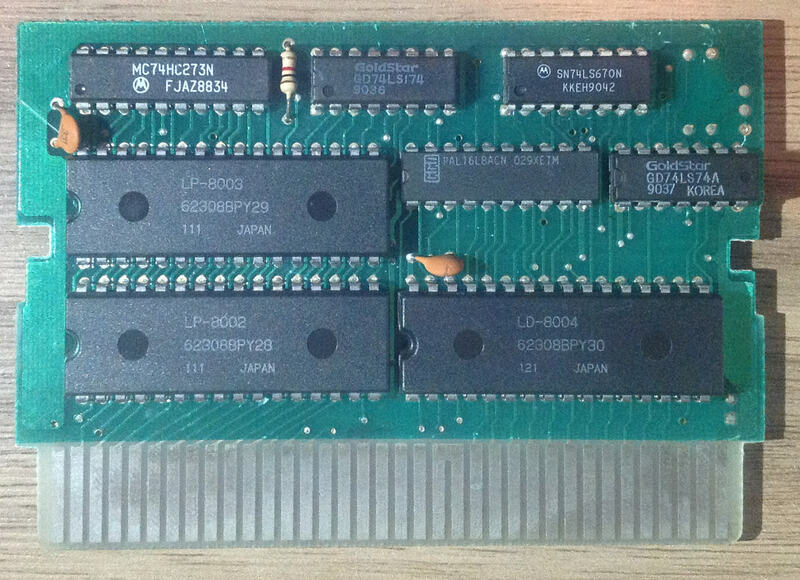 Adding support for the RAM chip depends on whether you want it to work as intended or as implemented, at least until a cart with the RAM populated is found. I'm not sure if that's an intentional choice for Nestopia or not or if they recognized it was designed to have a missing 74670. If you want wrapping to work, you'll need to build your own. The hacks/cheats used in the high numbered games will also not work as expected, as the value used there is also written to the missing RAM chip. The code I posted works with FCEUX (I just threw it into the existing Supervision cpp file for convenience), and just needs the 255 Mapper uncommented: the first one without RAM support; the second with. Adding it to Nestopia would be pretty straightforward. Ha. Sure looks like it. I note that Nestopia keeps them separate and doesn't implement the shared high bit on 225 for some reason. And there's a version with the missing 74670. Nice. So, were you just looking for the information on the chip or do you want me to do something about it? XD I think I know a friend who could dump it but maybe he can't and haven't talked to him in a while. Whether you dump or not is up to you. I assume you'll get same thing I did and that CaH4e3 did in 2011. Our PAL contents would be different, as yours only has 3 ROM chips instead of the 6 mine has, but I assume yours are 1MB instead of the 512KB in mine. I think this also explains why I wasn't measuring anything from the PAL to my unpopulated socket. They had redone it when they changed to 512K chips. I apparently only got a pirate copy of the pirate cart (Pirateception), which is why mine is missing the 74670. I should demand a refund! 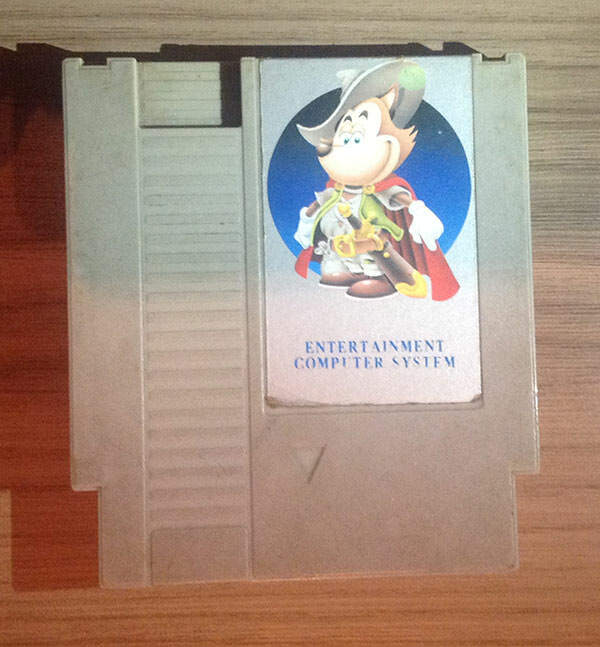 I demand only the finest original pirate carts when purchasing famicom adapters. - due to the lack of extra ram chip the cartridge you got has the same behavior as the emulated version (bugged last page). 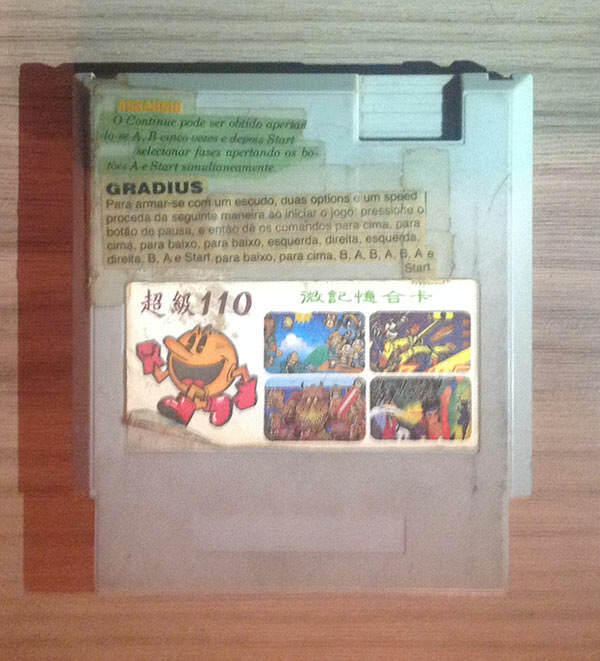 - meaning the emulation is correct for your cartridge. - meaning it's possible to correctly emulate the version I have (that fully works because the ram chip is present) and you've done it with the code you posted for the ram version. - the code you posted is meant to be used on fceux source. Rather not, they're probably the same. PAL is not responsible for decoding ROM - it is 74*139's role. THe cartridge latches 15 address bits. In the NES version there is 74*174 (=6) + 74*273(=8). Probably one of 74*74's gates latches the fiftenth bit and second gate is used as inverter to select between one and the other PRG rom. Please dump PAL content to confirm the combinatory logic I suggested in my schematics. Be advised, that some of I/O pins are used as inputs. .
Last edited by krzysiobal on Fri Dec 15, 2017 11:03 am, edited 1 time in total. Yes it is? By RAM we mean the 74'670. this cart, I dumped,mapper 255.
mapper 255,have 10 or more cart! Congratulations, but how can we help you? When do China holidays start? 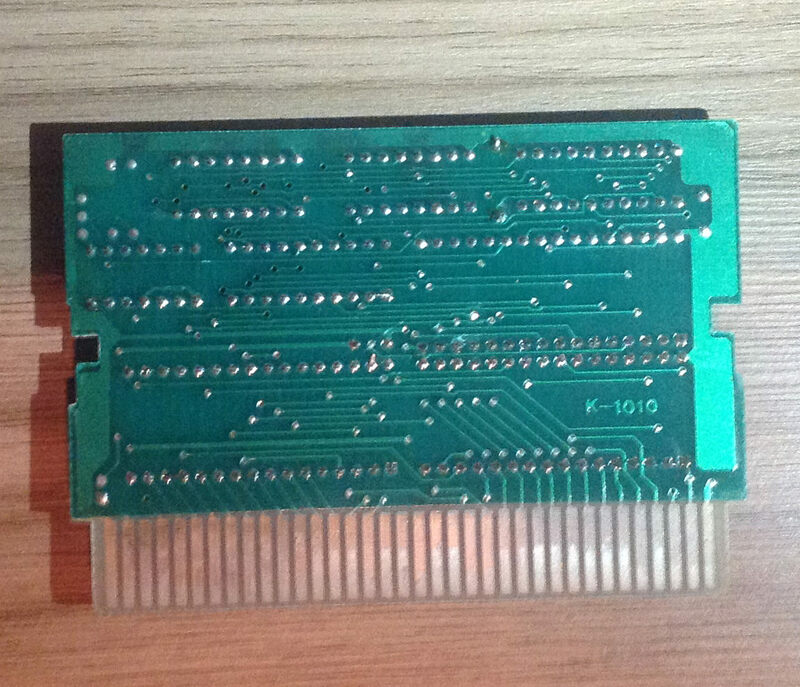 Today was the first day I saw the 110-in-1 cartridge being correctly emulated. I used Cah4e3's 2011 dump and mesen. Tried every game, and they all started perfectly, which was a first. I haven't tested games beyond the title screen though. Are there other emulators that can do this? Nestopia does not seem to work. Some games work and other games don't. Is it possible to add support to the everdrive n8 for this mapper?